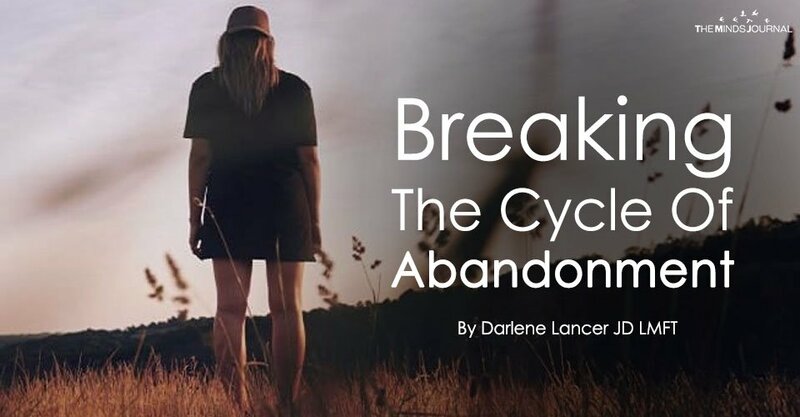 If you’re discontented in a relationship or go from one to another or even remain unhappily alone, you may be caught in a worsening cycle of abandonment. People tend to think of abandonment as something physical, like neglect. Loss of physical closeness due to death, divorce, and illness is also an emotional abandonment. It also happens when our emotional needs aren’t being met in the relationship – including in our relationship with ourselves. And although the loss of physical closeness can lead to emotional abandonment, the reverse isn’t true. Physical closeness doesn’t mean our emotional needs will be met. Emotional abandonment may happen when the other person is right beside us. To be listened to and understood. In order to get them met, not only do we need to know what they are, but we must value them and often actually ask for them to be met. Most people think they shouldn’t have to ask, but after the first rush of romance when strong hormones drive behavior, many couples get into routines that lack intimacy. They may even say loving things to each other or “act” romantic, but there’s no intimacy and closeness. As soon as the “act” is over, they return to their disconnected, lonely state. Often people are in emotionally abandoning relationships that replicate the emotional abandonment they experienced in childhood from one or both of their parents. Children need to feel loved and accepted by both parents. It’s not enough to for a parent to say, “I love you.” Parents need to show by their words and actions that they want a relationship with their child for who he or she is, respecting his or her individuality. That includes empathy and respect their child’s personality, feelings, and needs – in other words, not merely loving a child as an extension of the parent. When parents are critical, dismissive, invasive, or preoccupied, they’re unable to empathize with their child’s feelings and needs. The child will feel misunderstood, alone, hurt or angry, rejected, or deflated. Children are vulnerable, and it doesn’t take much for a child to feel hurt, abandoned, and ashamed. A parent who gives a child a lot of attention, but isn’t attuned to his or her child’s needs, which hence go unmet, is emotionally abandoning the child. Abandonment can also occur when a parent confides in his or her child or expects a child to take on age-inappropriate responsibilities. Abandonment happens when children are unfairly treated or in some way given a message that they or their experience is unimportant or wrong.